San Diego, October 2–6, 2011, Teradata will be demonstrating the neutrinoBI self-service search tool at its Partners User Group Conference and Expo. The tool is being shown as part of the companies bid to help partners and users to overcome BI complexity. 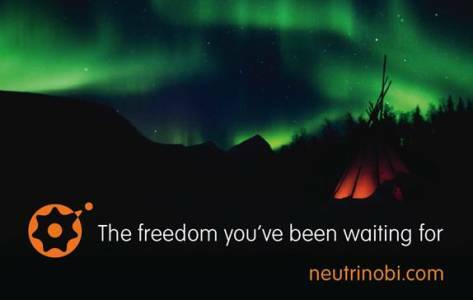 NeutrinoBI (www.neutrinobi.com) was set up in 2007 with a technology that has been developed from the ground-up to deliver the breakthrough in true self-service business intelligence search and discover capability that so many have been waiting for. The first ever freeform search tool, NeutrinoBI takes users from raw data to discovery in minutes, accelerating decision making for agile businesses looking to develop a competitive-edge. It agile BI at its agile best. Teradata Corporation (NYSE: TDC) is the world’s leading analytic data solutions company focused on integrated data warehousing, big data analytics, and business applications. Teradata's (teradata.com) innovative products and services deliver integration and insight to empower organizations to achieve competitive advantage.